Our Financial Director. When it comes to the finances, Bruce makes sure all the I’s are dotted and the T’s are crossed. He’s managed his own successful accounting and tax firm for many years. Whilst dealing and assisting many clients he decided to branch into the Education field – he comes with a wealth of knowledge and insight. Bruce likes to travel so when he’s not taking care of things at the office, he’s planning his next trip. Our Principal and Captain. Stacey steers the SACOB ship and makes sure things are running smoothly at all times. She has a passion for Education, is a stickler for great customer service and runs SACOB all while wearing a pair of heels. She understands the key elements of SACOB and gets involved in all areas, be it marketing, sales, accounts or building relationships with suppliers. She’s also always available to talk to students so don’t be shy. In the evenings you can find her at her local gym, where she switches her heels for takkies and shows the boys how to lift. When she is not at work or at crossfit you can find her enjoying the finer things in life – food and wine. Our Corporate Relations Director. Igsaan takes care of all our learnerships and corporate clients – that’s not to say he doesn’t happily chat to all other students too. He brings experience within the education field which comes across in his ideas to constantly help improve systems and processes for our students. If he has some spare time between juggling work and his family he’d love to sneak in a quick game of golf. Our Online Classroom Master, In House Designer and Jack of All Trades! Justine ensures that our Online Classroom and website is in tip top condition, she’s also the talented creator of all SACOB’s design work – be it awesome looking newsletters, posters or Facebook images. Her ability to step in no matter what the job is means she’s a keeper – figuring out how to fix printers and turning off water mains when the office is flooding is just some of the added benefits that Justine brings to the team. When she’s not in the office you can find her working out or baking…although she hasn’t made anything for the office lately. Our popular Head Course Advisor and unofficial Legal Eagle. Robin’s known for being a hands on course advisor, if you have ever dealt with Robin you know that she is pretty awesome! Not only is she friendly and thorough but she also wants to make sure you get the best out of your education – she’s a great asset to have with you every step of the way. She also comes with skills that the rest of us don’t, like being able to read in depth legal contracts as well as changing an oil filter. When she’s not managing the other advisors and taking care of her students she can be found at the beach or learning different languages. Higgins or Huggies (Just don’t call him that) is the first known human being that defies the rules of basic mankind, and opts to do the opposite of what is normal ie: he’s name is supposed to be a surname, he does not eat cake (and everything else that’s nice), he refuses to learn how to swim, he thinks Instagram is a unit of measuring weight. However he makes up for he’s shortfalls by being a dedicated course advisor, with a genuine interest in the wellbeing of his students. He believes investing time in a person is an invaluable gift. In his spare time, if he is not changing nappies you will probably find him buying them, or trying to teach his kids how to change their own nappies by themselves. Kelly’s patient and understanding demeanour means she is well liked by all her students. Her degree in Psychology and Sociology definitely comes in to play when she guides students through one of their biggest decisions…what to study. She strongly believes knowledge is power and there is no price to education – that’s what we love about her. Kelly has a love for yellow and two minute noodles. She’s spontaneous, witty and fun loving – when she’s not hard at work she’s out and about spending quality time with her family. Although Anthea has only been with SACOB for a short while she’s becoming a firm favourite amongst our students. Anthea’s bubbly personality means she connects with students quickly and easily – her degree in Psychology is an added benefit to all her students as she guides them through some life changing decisions – what to study. When Anthea’s not at work you can find her supporting all national sports as well as volunteering at various NGO’s. She believes laughter and Oreo cookies is the best remedy after a long day. 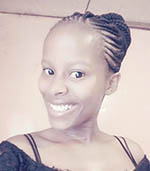 Thami holds a BA Honours in Psychology which means she is the perfect person to chat to regarding your studies – she loves working with students and giving them the guidance they need to make all the right decisions when it comes to their studies. She has a love for Cartoons, when we say love we actually mean obsession – she’ll give the little ones a run for their money. All this just adds to her fun loving and friendly personality. When she’s not at work or watching cartoons you’ll find her trying out new activities with her friends. Chantal’s bubbly and friendly personality makes her well-liked by staff and students. Her super-efficient ways means your materials are ordered and exams are booked on time, every time. 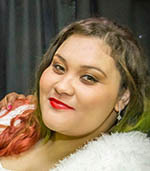 Chantal has a Paralegal certificate behind her name and is busy completing her Degree in Business Administration, this means that she has first-hand experience of what students go through and knows how important it is to be there for them. In her down time she enjoys spending quality time with her husband and two beautiful daughters as well as the occasional run…with all the cake we eat here at SACOB she might be running more than planned. The dispatch fairy we just can’t live without! Ever wondered who makes sure your material is packed and ready to go, who takes on couriers and makes sure your material gets to you in time? Well this is her! When Thuli’s not taking care of dispatching material and ensuring our databases are up to date she’s dreaming about where to travel with her son. Robyn with a Y (as she’s referred to here at SACOB) is here to make sure your study journey is a great one. She’s the lady behind the Online Classroom and ensures everything is running smoothly. Her Bachelor in Journalism means she knows a thing or two when it comes to writing which is an added benefit for not only SACOB but our students too – you will start to read more and more of Robyn’s mailers and content over the next little while and you will see her vibrant style shine through. Robyn, known for her style in clothes and shoes…some of those shoes are even made of glitter. We all love her casual, friendly conversational method of problem solving and student support. All our students will come to know and love Sino, if you haven’t chatted or received an email from her yet you will soon. Sino works closely with our Course Coordinator and will be your point of contact during your studies. With her BA Honours in Psychology she’s the perfect person to check in on you and make sure that you are on track and constantly working towards your goal – completing your studies. Sino values Education and the importance of it. The name Sino means happiness which is how she defines herself…a place of happiness. When she’s not hard at work you’ll find her out hiking or in the cinema’s. From 1962 to 1990, he taught Accounting and Mathematics to high school learners from grade 8 to grade 12. In 1984, he graduated with a B. Com. Degree with UNISA. His Majors were: Accounting, Economics and Business Economics (Business Management) and minors were: Income tax, Mathematics and Commercial law. In 1990, he was appointed Deputy Principal and later in 1993, was appointed the Principal of Mariannridge High School. He took an early retirement in 1997 and started a lecturing career at various tertiary institutions. At Unisa, he tutored Financial Accounting 1 and at Damelin College, he facilitated all the ICB modules, Financial Accounting , Management Accounting, Economics, Mathematics literacy, Statistics, Operations management and various other commercial subjects up to 2011. In 2012, he will be facilitating Financial Management 1 at PMI and Accounting 1 at UNISA. I hold a Diploma in Business Studies and Higher National Diploma in Marketing with special bias for teaching, training, research and administration with over 10 years experience. Presently, I’m busy with my Masters in Marketing at Vaal University of Technology. I have over years been teaching, facilitating, assessing and moderating because of my passion and commitment to learners’ development. After raising a family of four, Candy took up an accounting post at Springfield Convent High School in 1995. From 1998 to 2010 she was employed at Fairhills Business Academy and subsequently Montrose Business College, lecturing Business Admin, Accounting, Word Processing, Computyping, MS Word & Pastel. During her time with these colleges she furthered her skills by completing courses in Excel, Access, Powerpoint, CoralDraw & FrontPage. Carien completed a Bachelor of Commerce degree at the University of Pretoria (TUKS) in November 1997.She then started working as a bookkeeper in a financial services firm. During this time she completed some bridging subjects in order to obtain a B Com Honours in Financial Management. She then was employed at an Auditing firm as an accountant, handling the monthly and yearly accounting functions for a portfolio of clients. 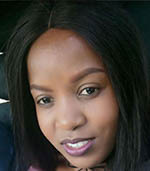 After relocating from Johannesburg to Cape Town, she joined a property and investment development company as group accountant, once again overseeing the investment division of the finance department and the various entities and respective accountants within the department. In February 2009 she decided to start her own venture, offering accounting and financial services for a selection of companies. Christina has extensive experience in Organisational Development. Her experience was gained consulting in the public and government sector. With regard to her technical skills, one of the attractions is that she comes from a Management Consulting background and was involved in projects that assisted with public sector restructuring. Christina stands out as a Strategy and OD Professional is her knowledge of what it takes to run an organisation. She always made great contributions in the development of business strategies for various departments in the government sector and had the creativity, flexibility, and energy to make sure that all of the OD issues are handled in a way that would support the business objectives without compromising strong commitments. She is currently a Senior Practitioner: Organisational Development and studying towards a Doctorate in Business Leadership with UNISA Graduate School of Business. She has a Master in Business Administration and a Postgraduate Certificate in Advanced Company Law. She lectures part time in Business Management, Strategic Management (Corporate Strategy), Marketing and Human Resources Management. Worked as a Temporary Educator and won Award of Achievement in Accounting Grade 12, held position of HRD Practitioner specialised in Training & Development in KZN Health Provincial Government, joined Local Government as an Education Instructor to ensure Training & and Development in a workplace and currently work as a Skills Development Practitioner, advising senior management on Learning & Development matters at eThekwini Metro Municipality in Durban. Frieda-Marie started her career in the banking sector in 1982 and after 10 years decided to join the public sector. She worked as a Manager in Labour Relations for many years and is currently an Ethics Officer where she actively manages ethics as an integrated part of Risk Management. As a competent Skills Facilitator she lectures on a part-time basis at numerous colleges in her fields of expertise. She is also an examiner for Management and Corporate Strategy at ICB. After joining a reputable publishing company she authored several textbooks. On an academic level she has excelled and was awarded the Old Mutual Floating Trophy for best student B Tech Human Resource Management at Pretoria Technikon and she received a Merit Award for Train-the Trainer from the Damelin Education Group. Frieda- Marie is passionate about skills development and is currently furthering her studies. With a B.Sc in Computer Science, Jevon started his career in 2000 as an Entrepreneur within the IT field. As a director of his own small company he did IT support for companies as far as Botswana. He worked extensively within the construction industry during this period of time. Jevon has over the years been within the music industry as well, working in the recording field and he is still actively participating in music projects. Jevon started his IT training career in 2004. Within a few years he has lectured at numerous colleges within his field of expertise. As an assessor and competent facilitator, he quickly joined up with a reputable publishing company. He authored one of their computerised based textbooks and revised and updated a few others as well. Currently he is involved with an exciting training development project which entails a different, yet fresh approach to teaching subjects. 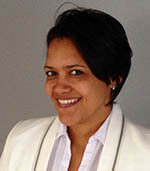 Karen is a qualified CA(SA) who completed her articles with Deloitte in 2001. After her articles she worked in London for the Valuations department of an asset management company for 3 years. On her return to South Africa she completed a postgraduate certificate in advanced taxation through UNISA. She started her own practice in 2006 specialising in taxation and providing accounting and consulting services to small businesses and entrepreneurs. In addition, Karen has authored two textbooks namely ‘Income Tax Returns’ and ‘A logical approach to South African tax’. Francis is a qualified Chartered Management Accountant with CIMA. After qualifying he worked in the insurance industry in Zambia for a year. From 2000 – 2006 he worked for the First Rand Banking Group. He then became Finance and Administration Manager for the Environmental Justice Networking Forum (EJNF) for 2 years after which he has been Management Accountant for various Johannesburg based companies. He is currently working as a Consulting Partner at Boaz Consulting. Since 1996 to date he has been a Lecturer, Examiner, Marker and Moderator at various business school in South Africa, he mainly facilitates CIMA, ACCA, ICB and other Degrees in Financial Management. Marc brings a conspicuous executive flavour to the team of SACOB lecturers. This is a result of his remarkable academic achievements from a young age, coupled with a string of corporate accomplishments in senior positions. Marc holds the accolade for being the youngest ever Financial Director of a JSE main-board listed company. He is vastly experienced as an Executive Director of a JSE-listed conglomerate and has been instrumental in high profile corporate affairs such as mergers & acquisitions, company restructuring, global commodity sourcing, initiating greenfields projects, disposals, rationalising and closures of businesses, corporate budgeting and incentive scheme derivations, foreign currency hedging, instituting necessary systems, polices and procedures et cetera. His remarkable resume renders an amalgamation of intellectual and applied competencies that are invaluable to our students at SACOB. Moira is an experienced facilitator of adult and corporate learning with a degree in Communications and Psychology. She has over 20 years experience in business and Human Resource Development in a variety of industries. Over the past eight years she have been offering her expertise as a facilitator, skills consultant and developer of training material to many prestigious clients, including SMMEs, banking institutions, manufacturing companies and government sponsored Seta Learnerships. Her foundational expertise lies in the communication field but she has delivered programmes extensively on Customer Service, Time Management, Managing Diversity, Conflict Resolution and Contact Centre Skills, amongst others. She has experience in facilitating disabled delegates, including visually impaired and deaf learners. She has authored textbooks on Business Literacy and Customer Service currently being used by a variety of tertiary institutions in South Africa. Moira is an advocate of ‘lifelong learning’ and is enthusiastic, adaptable, organised and highly committed to the field she works in. Nalen Alwar has an MBA and Chemical Engineering Technology Degree. He is in the last year of completing his Doctorate in Business Leadership at UNISA. He has nineteen years of industry experience and has written several articles for publication houses. He is passionate about supporting students to become top-achievers in their individual and vocational capacities. Nhlanhla holds a B.Comm Hons Degree in Management with the University of Science and Technology in Bulawayo, Zimbabwe (2002) as well as an MA International Business and Management with the Bradford University School of Management (2005). Currently he is the CEO of Ngaphakathi Professionals which is a training company accredited by the FP & M Seta, AgriSeta and LG Seta. Nhlanhla is passionate about mentoring and holds a role as a mentor/ business advisor at GIBS, Enterprise Development Department. Paul Green, is a Senior Lecturer and currently Head of Department. He has a PhD from the University of KwaZulu-Natal. Paul has two Masters Degrees and a Post Graduate Diploma in Management. He lectures in Accounting, Economics, Business Administration, Information Administration and Research Methodology at various tertiary institutions. His research interests include amongst others – Systems Thinking, Evaluation, Service Quality and Universities of Technology. Paul has presented academic papers at both International and National conferences and has articles published in accredited journals. Paul Mushonga has over 14 years experience in the corporate sector and has worked for reputable institutions which include Barclays Bank. Over the past 5 years Paul has concentrated in lecturing Management and Human Resource courses at post and undergraduate levels in different Private institutions which include Pretoria Technical College. He has also tutored to UNISA students Human resource and management related modules. He has also assisted many students in dissertation support and guidance .He is currently assisting a student based in Congo, Brazzaville with her MBA dissertation based upon motivation in family owned small businesses. Paul is also a motivational author and speaker. He is a keen and experienced lecturer who is well sought after in the area of Human Resource Management. Paul is also a volunteer HR consultant and advisor for More Care International, an NGO based in Pretoria. His areas of research interest include Performance Management, Motivation, Talent Management and Leadership. He is currently working on a Phd research proposal focusing on ethics, leadership and corporate governance in the education sector. Peter’s career objective was to become a business leader and a corporate trainer, with a Masters in Commerce behind his name, many years of lecturing under his belt and as well practical experience within the industry, we can say he has met his objective. Peter has a passion for education and is a sort after lecturer. 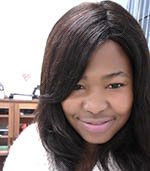 Reshma completed her BCOMPT Degree through UNISA in 2008, majoring in Accounting. She then proceeded to work for a Chartered Accounting firm. Even though a great career as a Chartered Accountant was on the cards for her, she found her passion in teaching Accounting. She therefore accepted a position as Accounting lecturer at one of the leading private education and training institutions in South Africa. After proving herself as a remarkable facilitator, she was offered the post of Digital Publishing Manager at a company that produces digital learning material for external education and training providers. To this company, she brings along her vast knowledge and extensive experience in the field of electronic learning. Sukainah is currently studying towards completing her National Diploma in Financial Accounting through ICB. She is passionate about the course with Pastel Accounting being a firm favourite subject. She currently works as a Personal Assistant at a leading Insurance Brokerage. Aisling Philips is a public relations graduate from Varsity College. She has worked for Soapbox Communications and Events for 5 years as well as part time while she was studying. She has assisted with a variety of lifestyle, business and consumer clients. Amanda Reekie is an experienced brand strategist who graduated from WITS with a BA degree and has a Diploma in Marketing Management. She is a marketer who thrives on creative problem solving and has over 23 years of marketing experience. Her career started in fast moving consumer goods, retail and e-commerce business. She she launched her own marketing consultency in 2001, this business merged with another marketing strategy company in 2004 to form ImaginNation Allience. In 2007, Amanda managed to buy out the other shareholders and is now the sole owner of the company. While studying for an Industrial Design Diploma at the Cape Peninsula University of Technology he discovered a passion for computers and wanted to combine both his design and technical skills. With over 150 projects designing and developing web applications under his belt, he has extensive experience in managing and planning end-to-end. From small brochure web sites to large integrated business solutions, he has either personally designed or developed in a number of different technologies such as Flash, ASP, PHP, Ruby, Java and Python, to name but a few. He is a practising attorney and notary public with substantial knowledge and experience acquired over nearly 50 years of legal practice as an attorney, advocate and in-house legal adviser. Contributing editor for IRnetwork at LexisNexis from May 2013. He places high premium on providing pre-emptive legal advice and support in Employment & Industrial Relations Law in South Africa. Inky’s public relations experience spans over 20 years, having managed the PR and reputation portfolio’s for a number of blue chip local and international leader brands. She established Soapbox Communications and Events in January 2003 and specialises in providing strategic input, expert insight and effective solutions for client’s communication challenges. John has 13 years of practical experience applying his knowledge to organisations to help them grow and avoid legal problems, difficulties, or disputes. He always tries to add value to his clients. He embraces and uses technology to provide the best possible services to his clients.